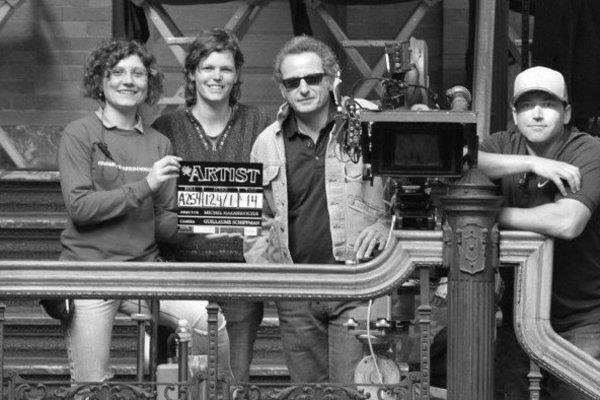 Vessie Kazachka in the set of The Artist (first from the left)! Vessie Kazachka was Second AC on the Oscar-winning film “The Artist” and I remember her telling us while it was being shot that she thought it was a good film and that she was proud to be working on it. This was before the Weinsteins got wind of it. Vessie also worked on Sonny as our First AC! We are so grateful to her for sharing her mad skillz and very proud to call her friend!